Have you wondered how to make your family safer in this constantly changing world? The 24-hour news cycle and the internet bombard you almost non-stop with troubling stories. Your children see and hear things you would never have imagined at their age. Does what they see and hear as children trouble you as parents? If you are the good parent that I know you are, it probably does. After all, you just want them to have a safe and happy childhood, right? One way to make that happen is to follow these four steps. They are simple steps that involve proactively spending time together. Then, working to pass on your safety, security and preparedness information slowly, in a controlled and positive manner. The American family changed as TV’s reduced in size and cost, and more parents left home to join the workforce. The changes are even more dramatic with the fact that many kids and parents practically live on the Internet. As this has happened, families spend less and less time together. Gone are the days when families eat, play and watch TV together. It is that separation that families who desire to be safer should overcome. After all, by being together, your family will learn from one another. And learning from one another is better than learning from some stranger on the computer, or the TV, right? 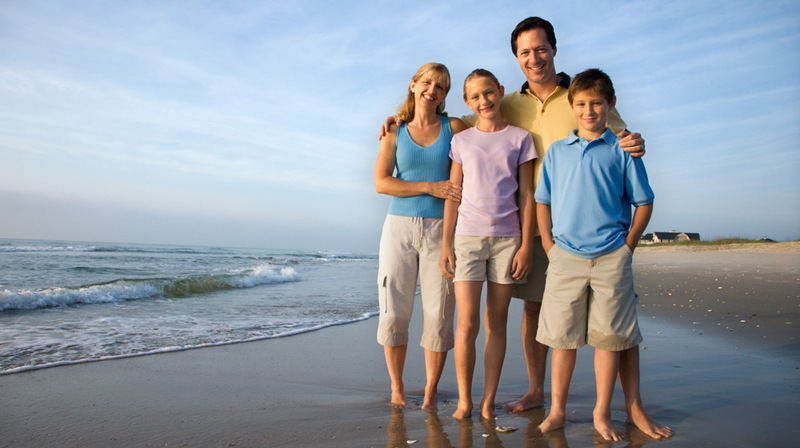 By spending time together, you impart many views and values to your family. Those include your views on safety, security, preparedness and the world as a whole. Many families have forgotten what it’s like to go outside and play together. So, why not read a book, or do something educational together? Go on a hike, skim through a book on local wildlife, play a board game, build a puzzle, etc. I don’t know about you, but it’s the times spent together as a family that I remember most fondly from my childhood. Why not give your kids the same fun memories? “Honesty is the best policy.” ~Benjamin Franklin. Trust is a vital part of any relationship, even with your family. When your family asks you questions, be honest with them. That honestly doesn’t include telling them an EMP is going to wipe out the planet. That is over exaggeration and not how to make your family safer. Stay with what you know is fact and avoid adding drama. Will an EMP wipe out the country? Who knows? What we do know is there is a potential for a grid down situation to happen. So, why not be prepared? Will a terrorist attack them? Probably not, but there is a chance, just like there is a chance of being targeted by a criminal, etc. So, explain that bad people are out there. Explain that they should be observant and keep an eye out. Explain what they should do if something happens. Let them know that they will be okay because you have taught them what to do. As preppers, we understandably tend to focus on events that are negative. While we don’t usually intend to be negative, others think we are. Those others can include our family members. Therefore, we should make a conscious effort to be positive as often as possible. When we’re positive, we’ll attract others who may be more willing to understand why we prepare. In the end, there are a lot of beautiful things that happen in our lives. Take the time to focus on and reinforce them to others. Being positive will help everyone come together, be happy and learn in an encouraging environment. We all know that the world can be a scary place. That is especially true for children and people who may not be exposed to potential problems like many preppers are. As a result, knowing how to make your family safer can be difficult. Because it’s a scary place, many people ignore what’s going on, or put it out of their mind. Often, when reality hits, they don’t deal with it well. Therefore, it is important not to scare people. When dealing with children, read this earlier blog post for some ideas. If something is going that should be addressed, parents should take it out of earshot of the kids. Try not to be dramatic and say bad times and bad events are certain. Telling people who are not ready to hear something bad that it’s definite may be counterproductive. Instead of telling people the economy is going to crash, say we could be in for tough financial times. Doing so plants the seed and lets people get used to the idea. Then, as you slowly help the seed germinate, they’ll eventually develop an understanding. If you have any other thoughts or questions about how to make your family safer, please leave a comment below.